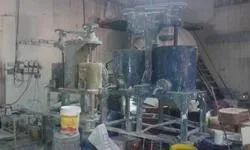 Chamak Paint Industries was incepted in the year 1979, and has established a repute of most promising Manufacturer and Supplier firm delivering best in class range of Coating Materials. Our efforts to meet our ambitious goals and clients’ requirements are consolidated in our offered wide assortment of superior quality coating products, which includes Industrial Coating Paints, Industrial Coating Primers, and Industrial Coating Thinner. To demonstrate our operational excellence, we bring forth a qualitative range of products featuring a comprehensive line of benefits of uniformed coating, resistance to chemical, superior protection from corrosion, smooth and aesthetic finish. We strive for recognition of a trusted business entity, thereby we invested enormously in the knowledge resources, which help us to gauge the clients’ business needs. Further, we conduct rigorous market analysis, encapsulating our efforts to nurture a customer oriented perspective. We ensure that our business operations are performed in sound, ethical and competitive manner, which includes implementation of prevailing technology. Further, we believe the size of our company is enlarged due to the innovative endeavors our team members put to surpass the market challenges. Meeting technological advancements and stakeholder expectations, we have become a reputed firm backed with a huge client base. Our leader and mentor Mr. Chirag Patel is an active collaborator in promoting the ethos of liable business behavior amongst our business partners, team members and esteemed clientele. Manufacturing and Trading of Paints, Powder and Varnishes. Corporate culture is our core competitiveness, and essentially this is the spirit which guides us in servicing our customers and the society, as well as tackling any competition. We focus on advancing our mission, management and technology with a firm determination to out-perform our competitors in the industry. Chamak means “Honesty & Trust”. We offer quality products and valuable services to customers, by placing strong emphasis on training and professional services. With strong technical expertise and abundant funds, we will endeavor to research and develop new products and technology, to make our brand globally reputable. 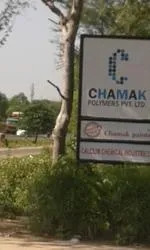 Chamak Paintchem Ltd has a long and distinguished history. Since our inception in 1979 we’ve constantly delivered technical and product innovation. For example, in the 1979 we pioneered industrial-scale chemical manufacture. More recently we’ve led the way with high-tech coatings and artificial fibers. 1979 - Launched “Chamak” in lime product as brand & Established limekiln production capacity of 750 metric/tone per year. 2005 - Chamak has introduced its new product industrial paint & wood paint. Chamak Group has always strived to enhance and achieve maximum customer aspirations for quality, competitive pricing and timely supply, meeting standard norms for environmental safety, with its collection of innovative high quality products. Our approach to corporate Responsibility is forthright, as we comprehend our impacts on the society, on the economy and the environment as a whole. We at Chamak, believe that desired level of progress can be achieved when teamwork exists, on realistic things that make a difference to maximize the benefits and minimizing any negative impacts. The customer satisfaction oriented system provides us the platform to serve the industry in multiple approaches. Being as ISO certified company, along with extensive experience, our endeavor is to reach new heights and touch the sky. We intend to expand the company to be comprehensive, widen to newer extents and also to be ultra modern, all at the same time. We are aspired to become the influential paint industry, contributing our own strength for the prosperity of Indian Economy and World Civilization. Thus, with our far-sightedness we intend to acquaint science and capitalism to compose and operate products that deliver new valuable solutions. The driving force behind our efforts to become the industry leaders is the passion and dedication of our highly experienced team members. Our talented team members are determined with a strong spirit to deliver added value with every product. Our team comprises of confident and highly experienced manufacturing specialists, warehouse executives, sales associates, and quality analysts. Due to commitment and collaborative team efforts, we have become successful to surpass the complex client expectations. We work on a flat hierarchy that makes us competent to analyze the market trends. Our core competency is to bring forth matchless formulation of industrial coatings that are cost effective and durable. Further, our endeavors to do the best are underpinned by the technology, resources, and assets requisite to the company’s steady progress. We have set standards for our offered products that helped us to act responsibly with our accredited vendor base and esteemed clientele.